Did I finish? : I did -- I inhaled it. Do I like the cover? : I do -- the mine looks as I expect a mine too; I like the marker-y font; and the dirty smear/splash in the upper right hand corner is repeated on all the chapter starts. First line: A small mountain airport, shrouded in fog, dusted with summer snow. Do... I adore the title? : YES. Pyne explains the possible source of the title -- maybe Twain, maybe a contemporary of his -- and regardless of the source, I heart it so. Did... I find all the mining stuff rather easy to follow, given that I'm not a miner (or geologist)? : YES. Pyne explains what needs to be explained without overwhelming the reader. Did... I horrify my wife by not knowing who one of the book's blurb-ers was? : YES. Eric Idle offers a hilarious blurb, and I chuckled, and when I passed this book to my wife, she cracked up and 'oohed'. When I failed to respond, she was really disappointed in me, and I got a lot of hectoring and a long lecture. So, FYI, Eric Idle is part of Monty Python. In my defense, I totally recognized him when she showed me his picture. Buy, Borrow, or Avoid? 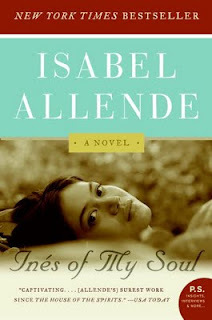 : Borrow or buy -- this is kind of a Western, only not really, with anti-heroes who aren't really anti- or heroic, a romance that isn't romantic, and a look at family that's touching and twisted. Why did I get this book? : The title. How can anyone say no? Review: Look, I'll admit it: rather cattily, I was dubious that a screenwriter -- however successful -- could put out a compelling novel. But the premise -- and fantabulous title -- of this book was too intriguing to resist, so I agreed to take this on to review. To my (chagrined!) surprise, I loved this book. 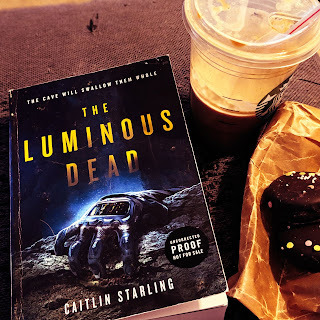 It's darkly funny, with all these weirdly unlikable-yet-totally-lovable characters, and this almost-too-ludicrous-to-be-believed plot that comes right out of a 19th century mining yarn. Post-divorce, motivated by a midlife crisis, Lee Garrison, a high school teacher, buys a mine off eBay near his hometown in Colorado. Locating the mine is something of an endeavor: mine claims were obfuscated and hidden to keep thieves away, and within days of his purchase, he's gathered an unwelcome cadre of 'partners', eager to make it rich. Complicating matters is his brother Grant, newly released from prison, and his ex-wife's new husband, a slimy lawyer, and the pretty Rayna, a woman he's uncomfortably interested in. Unsurprisingly, the dialogue is stellar in this book, laugh-out-loud funny, dark and sharp and sarcastic. There's a scene early on between Grant and his parole officer, dialogue only, that was so delightful I wanted to make out with it. 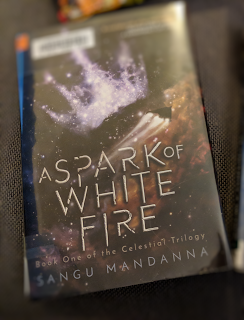 The novel's start was a bit slow for me -- the narrative was a bit long-winded at times -- but as the story went on, I was hooked, and I couldn't stop reading. I didn't want the book to end, either, although I found it immensely satisfying, just what I didn't know I wanted. I'm not sure how or who to recommend this novel to: it's not a Western, but is strongly influenced by the world of 19th century mining, the lore and backstabbing and intrigue; it's not a romance, but romantic relationships -- new, old, and in-between -- feature in the story as do sibling relationships; it's not a business thriller, but there's drama and greed and plenty of action. 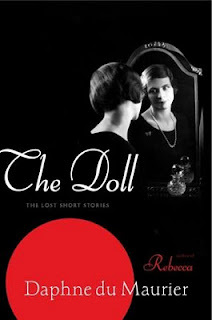 This is an amusing and rather moving novel that surprised and delighted me. I'm thrilled to be able to offer two! 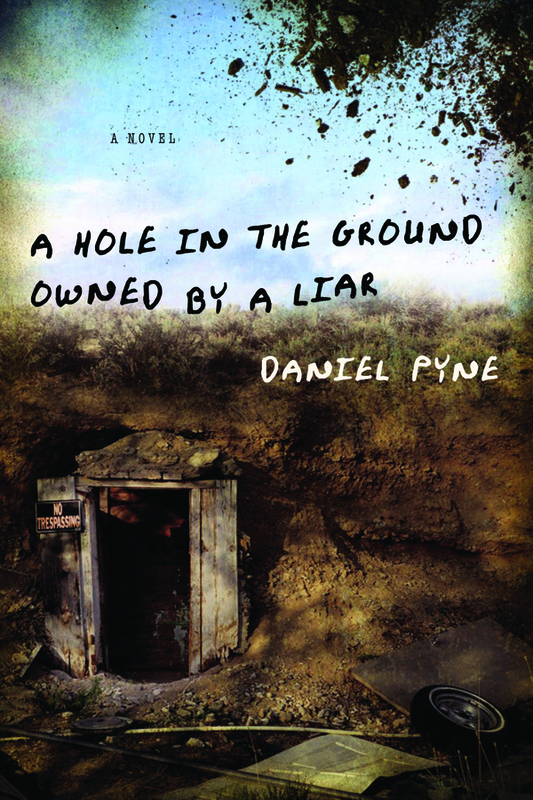 readers a copy of A Hole in the Ground Owned by a Liar. To enter, fill out this brief form. Open to US/CA readers, ends 4/20. You've managed to make me very curious about the quirkiness of this book, and now I want to read it! 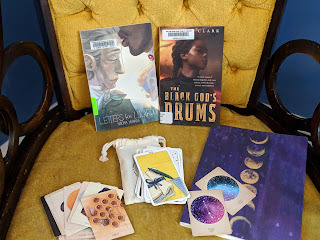 Your review was so fun to read, and had so many interesting components! Very cool sounding book, and wonderful review today! Thanks, Heather -- I wish I could give away a copy of this one as it was such fun -- really unexpected. And so odd -- in a good way! Just found out I can give away two copies should you want one! I've added an entry form to the review. 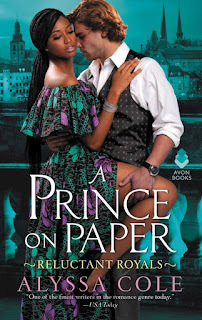 I totally would not pick this one up based on the cover alone, but the title is VERY intriguing and your love of it has me raising an eyebrow over here. Guys and their midlife crises definitely make me eyeball roll to death, but in this case, I was immediately won over by the hilarious dialogue and bizarre set up. The cover, too, didn't grab me but the title, and prologue immediately did! I just found out I can give away two copies -- should you want one! I've added an entry form to the review. I like the title of this one. I would be skeptical about screenwriters writing novels as well...but this one sounds like a winner. The title is so marvelous -- and it really ended up being a winner -- the dialogue, oh the dialogue! AND there's a giveaway now should you want one! Entry form here. I have to admit, your review makes this sound way better than I would have thought myself. I'm not usually a "western" kind of gal, but this sounds great! I'm probably doing it a disservice by throwing 'Western' around, but Colorado and the history of mining so infuses the story, it reminded me greatly of that part of US history. The themes I think about in Westerns, too -- independence, self reliance, hard men and soft women, scrabbling for survival -- are found in this book, only in very modern ways. Such a unique read. Well, if you're curious, I just found out I can give away two copies -- I've added an entry form to the review. I LOVE this title, and I actually really enjoy Westerns when I get around to reading one. Plus, I love that you inhaled it. I need this book ASAP. I think you would so dig this one -- it's really over-the-top without being unbelievable. Plus, Western-y-not-Western. Hooray -- uust found out I can give away two copies! I've added an entry form to the review. 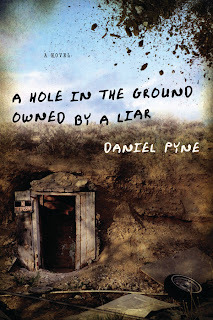 Thanks for writing such an inviting review...I can't wait to read A Hole In The Ground Owned By A Liar! Interesting title. Books sounds like one I would enjoy based on your review. Thanks for the giveaway. Boy, win or lose, I have to read this one. Love sarcastic humor, above all other forms. Thanks for the giveaway.